Kedarnath box office collection Day 5: Sara Ali Khan and Sushant Singh Rajput's film Kedarnath passed the Monday test earning Rs 4.25 crore. Kedarnath box office day 5: Sara Ali Khan and Sushant Singh Rajput’s film remains rock-steady. 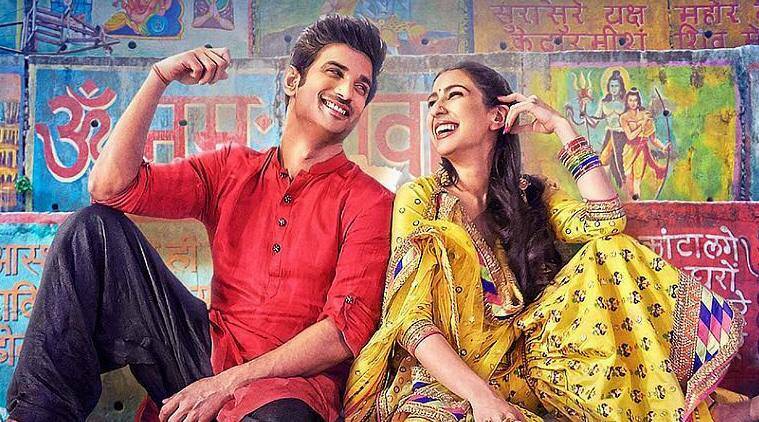 Sara Ali Khan and Sushant Singh Rajput’s film Kedarnath passed the weekday test earning Rs 4.25 crore on Monday. Now, Sara’s debut venture is expected to keep up the pace in the coming weekdays. The film, which had a slow start at the box office with Rs 7.25 crore on its first day, showed growth over the weekend. Despite competition from the magnum opus 2.0, it seems the Abhishek Kapoor directorial has held its own due to word of mouth promotion. Set against the backdrop of the Uttarakhand floods in 2013, Kedarnath is a love story of a Hindu girl and a Muslim porter. The film has however been banned in Uttarakhand as people accused it of hurting Hindu sentiments and promoting love jihad. “The dream was that I could pass on this story to some people. We shot the film in Uttarakhand. We stayed there for 40 days. I have the best memories of my career there. It is very disheartening to not give back to them because they have given me so much. And that is the only real regret,” Sara Ali Khan told PTI.